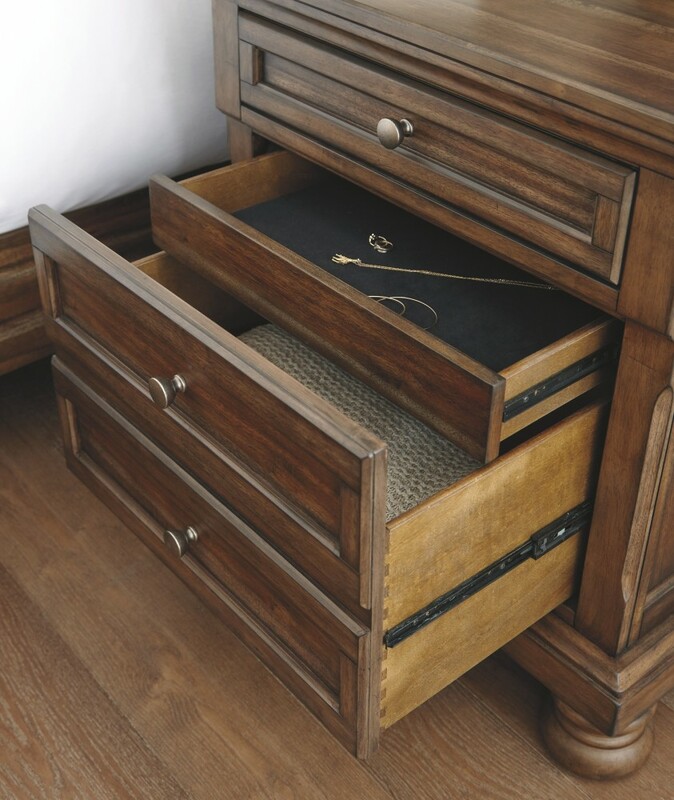 A fresh, new take on traditional style. 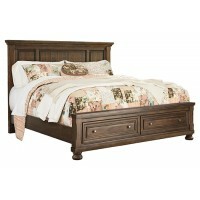 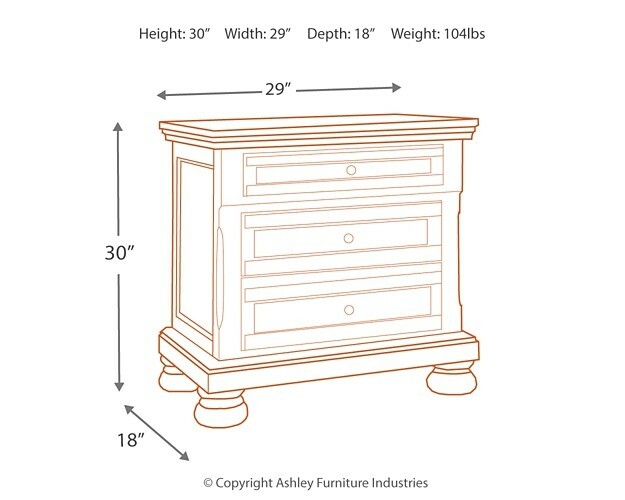 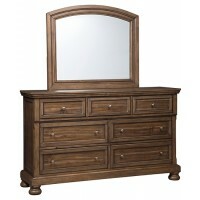 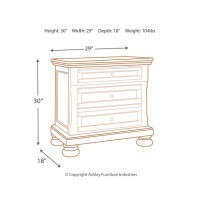 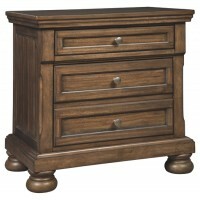 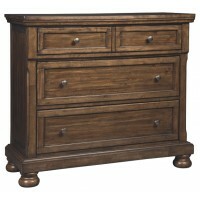 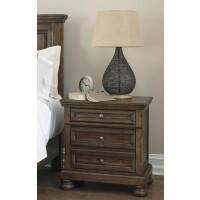 This nightstand meets today’s design tastes with beauty and grace. 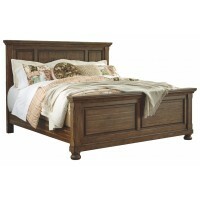 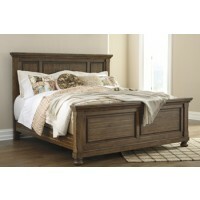 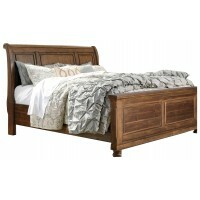 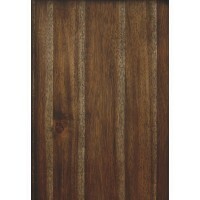 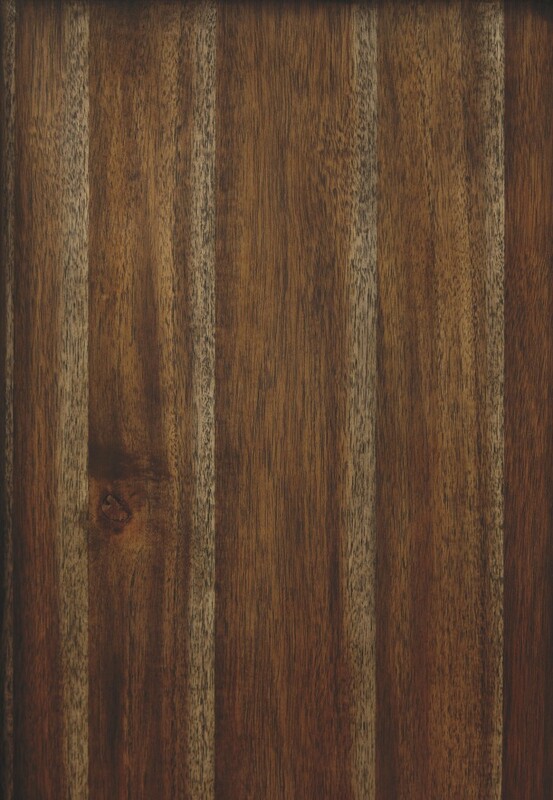 Tobacco brown finish allows the natural grain of the acacia veneers to show through in an organic way. 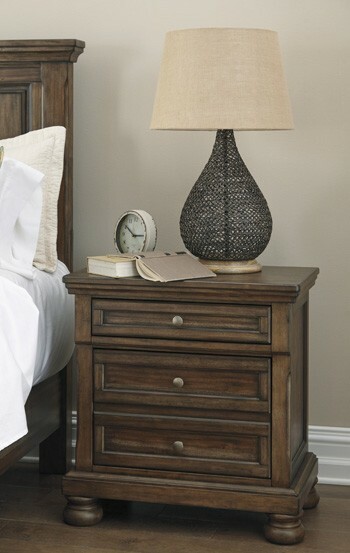 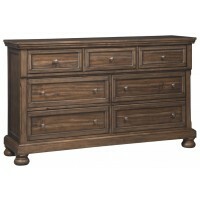 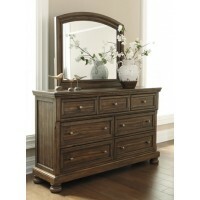 Aged brass-tone knobs dress the fronts of the roomy drawers. 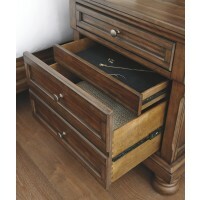 Hidden pull-out tray behind the bottom drawer puts your small valuables out of sight. 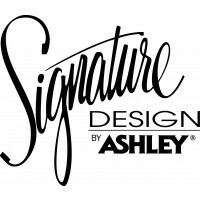 This is a look you can appreciate for years to come.